Evangelos Himonides has provided consultancy and support to the Centre for Holocaust Education team since the Centre's inception. His expertise and interests include non-conventional datasets, research design, statistical analyses, extensible research topologies, mapping and geographical information systems, blended mode research, and human-computer interaction. 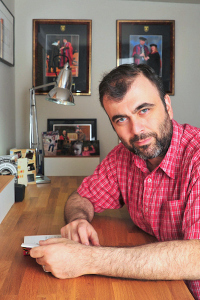 Evangelos has also recorded, edited, and produced a number of video documentaries related to Holocaust Education.